Man I miss the Wine Library days! Those of you who saw me on livestream last night know that my Rosé ships out this week and that this is a really exciting time for me. I’m so appreciative for everyone that has supported my Empathy Wines venture, something I’ve been dreaming of doing for a long long time. Today’s podcast is a throwback to my Wine Library TV days. I spend the next 20 minutes tasting and critiquing wines while answering questions from the audience. 2:00 - I’m a social guy! 4:50 - ... See More This wine smells like Christmas and sea shells 9:30 - Everything I hate about the wine industry 14:35 - My favorite wine region 18:10 - Wine Q&A Enjoyed this episode? 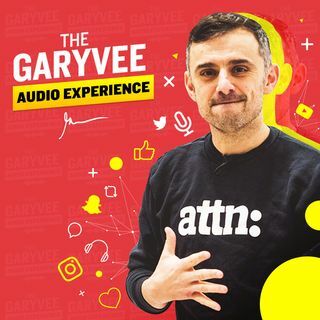 Please tweet me at @GaryVee - any feedback is super helpful.